Updated on Oct 1, 2018: Southwest Monsoon withdrawal was delayed and began its process only on September 29. As anticipated, the withdrawal was likely to be rapid which has been the case. 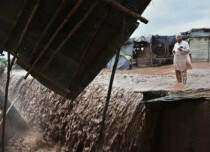 Now, Monsoon has further withdrawn from major portion of Northwest India including rest of Rajasthan, entire Jammu and Kashmir, Himachal Pradesh, Uttarakhand, Punjab, Chandigarh, Haryana, Delhi, West Uttar Pradesh along with few parts of Central India including West and East Madhya Pradesh, some more areas of Gujarat, and North Arabian Sea. The withdrawal line now passes through Bahraich, Nowgong, Bhopal, Indore, Bharuch, and Veraval. Now, conditions are favourable for further withdrawal of Monsoon from rest of East Uttar Pradesh, Madhya Pradesh, Gujarat, parts of Bihar, Jharkhand, Chhattisgarh, and Maharashtra in the next two to three days. However, one point to be noted is that the withdrawal of Monsoon need not be construed as the absence of rainfall activity from a particular region as there are other systems which continue giving rains. 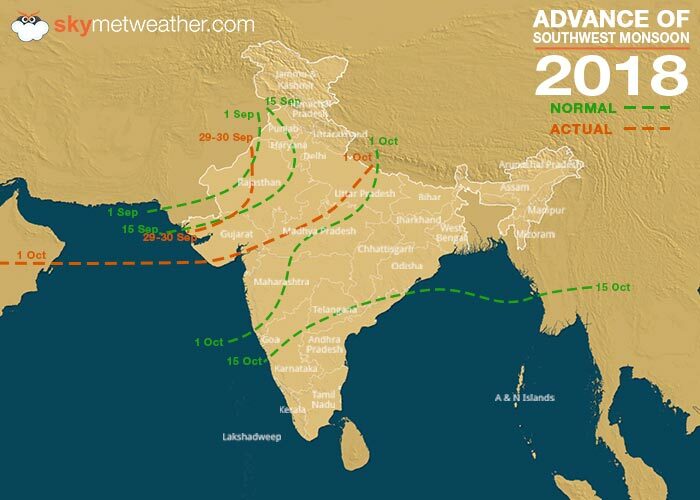 Published on Sep 29, 2018: Southwest Monsoon 2018 has finally begun its withdrawal journey on September 29. 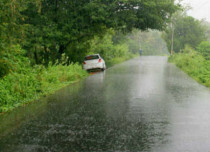 Although a delayed one but Monsoon has retreated itself from parts of Rajasthan and Kutch region of Gujarat. The withdrawal line of Monsoon is presently passing through Anupgarh, Nagore, Jodhpur, Jallore, Nalia and Northeast Arabian Sea. 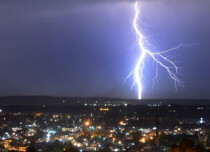 In fact, conditions are ripe for the Monsoon to withdraw rapidly from the remaining parts of Rajasthan, some parts of Punjab, Haryana, Delhi-NCR, Uttar Pradesh, Madhya Pradesh and from some more parts of Gujarat and Arabian Sea in the span of next 2-3 days. 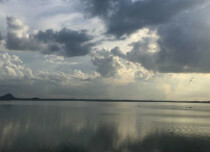 The withdrawal process thereafter is expected to be fast and within about a week or so, Monsoon will take its leave from many parts of Northwest India. The process of the withdrawal of Southwest Monsoon withdrawal begins in September. However, before September 1, the withdrawal is not attempted. Moreover, the process does not begin right in the beginning, and it only starts after the first ten days of the month are over. 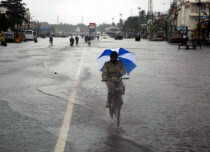 This Monsoon season, while in the beginning it looked like Monsoon will bid adieu on time, it was the Cyclone Daye along with the Western Disturbance which resulted in fairly widespread rainfall activity over many parts of the country including North India. All those systems have now diffused, and conditions have become favourable for the withdrawal of Southwest Monsoon which begins from extreme West Rajasthan. 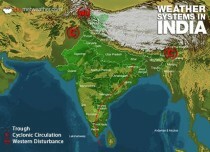 There are several features which are required for the withdrawal process to begin which includes the presence of an anti-cyclone over Rajasthan and Gujarat region, rise in temperatures, change in wind pattern to northwesterly, reduction in humidity levels, minimal clouds and presence of dry weather conditions. The most important out of these is the presence of anti-cyclone which does persist as of now over Rajasthan and adjoining areas. This anti cyclone is indicative of rain reduction as well as the change in the winds.